Article by Kate Dempsey © 2 October 2015. Hi Jane and welcome to writing.ie. How did you first get into poetry? I was always interested in literature and studied English at college but it was when I was training as a psychotherapist in my 30’s that I came to poetry as a source of pleasure and meaning in my day-to-day life. I remember the first time I read “The Art of Losing” by Elizabeth Bishop and being so moved by her denial of the impact of her losses right up to the shattering power of that final line. As a child I had dreamt of becoming a writer but it wasn’t until ten years ago that I wrote my first poem. I was doing a distance-learning course with the Open College of the Arts with a view to writing short stories but the second assignment was to write four poems. 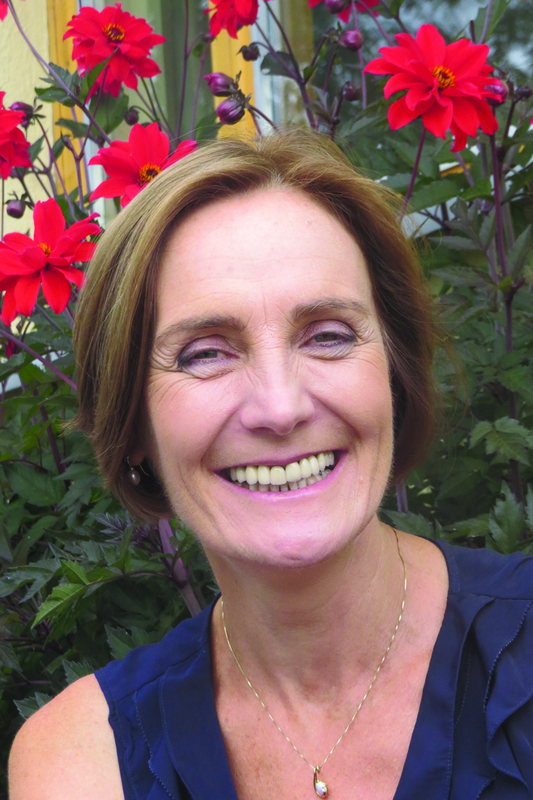 My tutor, the poet Kate Scott, gave me encouraging feedback on these first poems and I began writing more and more as well as immersing myself in contemporary poetry. I loved how the distilled language of poetry could express the complexity of our lives with such constraint and containment. I found myself enthralled by the process of making an object with words, an object that then went on to have a life of its own. What poets or poems would you recommend to read when starting to write poetry? There is such a wealth of poetry but I think what is most important is to read poems that speak to you, that touch you, that make a difference to you, as if you’re walking through a huge garden and are drawn to particular plants and flowers for their colour, shape or scent, how they stand tall or how they huddle into a corner. I found the Bloodaxe anthologies a wonderful introduction to poems and poets. I also dipped in and out of Sources, edited by Marie Heaney and the Lifelines anthologies edited by Niall McMonagle. Gradually I moved from reading individual poems to reading collections by poets that appealed to me, including Mary Oliver, Seamus Heaney, Elizabeth Bishop, Michael Longley, Robert Frost, Gillian Clarke, Paula Meehan, Kerry Hardie, Mark Roper, Moya Cannon, R.S. Thomas. I found and still find that reading other poets makes me want to write and often it’s a poem by someone else that sets off a poem for me, with just a word or a rhythm, a memory or a question. Then I stop reading and start writing. What I have also found very helpful and enjoyable is a poetry-reading group, which my friend, the poet, Shirley McClure and I set up almost seven years ago. Five of us have been meeting once every month or so to read and discuss individual collections and some anthologies. We have read some of the all-time greats, such as Yeats, Auden, Akhmatova, Rich, Eliot, Hopkins, Dickenson, Donne, Milosz, and also lots of contemporary poets, such as Kay Ryan, Sinead Morrissey, Ruth Stone, Jane Hirshfield, Naomi Shihab Nye, Eavan Boland, Mimi Khalvati. Also Harry Clifton runs a regular poetry reading class in the Irish Writers Centre, introducing poets in their historical and literary context with lots of anecdotes and insights. What do you get from going to a poetry reading? I go to readings for the pleasure of hearing poets read their own work and to experience poetry as an aural art. I like listening out for the tonal quality the poet gives a poem, where they pause, where they put their emphasis, where they slow down and where they pick up speed. I’ve often heard a poem differently at a reading to how I read it on the page and sometimes a poem stands out which I had overlooked in a collection. I’m interested to get a sense of the context of the work through the poet’s introductions, as well as a sense of the poet as a person, which can provide a whole other dimension to their work. I think festivals and readings are invaluable for introducing us to new poets and for giving us the opportunity to hear and see poets we’ve loved and admired from afar. They’re important too for bringing people to poetry; highlighting or reminding people of what poetry has to offer. There may be relatively little attention for a collection despite years of work in the making and a reading may be one of the few places where the poems are celebrated and acknowledged publicly. I also think readings are important for the community of poets and it’s good to meet other poets, friends and colleagues there. How do you know where to stop a poem and where to start? Well, with the first draft I don’t really have a choice. It’s a matter of picking up on that initial spark or idea or rhythm or phrase and following until it comes to its own end. It’s like unraveling a thread or running along the platform to catch a train that is just about to leave the station. It’s when I begin to redraft that I work with the questions of where to start and where to stop. I read the poem aloud over and over to hear the music as I take out or put in words, work with the imagery, change the lineation. I like creating a sense with the first line of coming in on something that has already begun and with the final line I try to avoid tying it up with a neat bow. At the end of the poem I try to create a sense of openness or surprise or paradox or an emotional undertow – something that will stay in the mind and the heart and might send the reader back to the beginning again. But most of the time I’m not thinking about this consciously because I’m caught up with how to make this particular poem sing. It is easier to see where someone else’s poem should begin and end and I find being in a workshop group invaluable for honing my editing skills. When I get the poem as ready as I can, the next step is to take it to my monthly writing group. They will tell me if I should have started further into the poem, if I’ve gone on too long or if the ending needs to be stronger. I think that over time we develop a kind of sixth sense for what is working or not and we find ourselves applying that to our work as we are redrafting. However I couldn’t do without the critique and suggestions of my workshop group. All the advice is to put the poem away for at least a few months and then to look at it again. I find this hard to do but I think that time away from the poem helps us separate from it and therefore gives us perspective so that we can better see what the poem needs. It’s exciting to come back to a poem and find that I see it differently and so can work with it more freely than I could have months or years before. That’s when I might make the first line the title of the poem or begin at the second stanza or leave out the ending I have crafted so carefully. Mimi Khalvati says that the mind instinctively makes connections and that includes the reader’s mind. She suggests we can be bolder and wilder than we think. Tell me how your poetry collection came about? About four years after I began writing I started to think about drawing together a collection. I had won a few prizes and had a number of poems published which I took as encouragement. I started the distance learning MPhil in Writing at the University of South Wales and brought my collection to the residential week at the end of the first year in June 2010. The staff and my peers told me that it wasn’t ready yet and advised me to take more time with it. I was disappointed and disheartened but they were quite right and it was pivotal advice for me. It pushed me to slow down, to read more, to write more, to redraft poems, to set higher standards for my work and for my collection. It also gave me time to get more poems published. I worked with Gillian Clarke as my tutor for two years on the MPhil, which was a privilege. My writing developed with the help of her feedback, as well as that of Philip Gross, the Welsh Tony Curtis and Stephen Knight. It was another two years, September 2013, before I felt I had a collection I could stand over. I sent twelve poems to Bloodaxe Books in October and Neil Astley asked me to send the full collection in April 2014. It was accepted for publication at the end of July 2014 and published the following May 2015. Along the way I showed drafts to Grace Wells, Geraldine Mitchell, Shirley McClure and Yvonne O’Connor, all of whom gave me invaluable feedback on individual poems as well as the overall structure of the collection. Putting together a collection takes time and I think the poet is working with the questions of the overall arc of the collection and the placing of individual poems unconsciously as well as consciously during that time. I found it to be like the process of writing a poem in many ways, except probably more difficult. I was moving poems in and out and around, looking for a sequencing that felt right to me. I was looking for resonances between poems as well as variety and movement in the collection as a whole. Then there was all the thinking about the title. One of my first ideas for the title was Where the river deepens so the river was there from the start. Somewhere along the way I realized I wanted it to be The River, to reflect what I saw as the strongest poem in the collection and also to reflect the themes of change and loss and what nature offers us. If you had to choose one poem from it for people to remember which would it be and why? It would be the title poem, “The River”, which is also the last poem. It is probably my favourite poem in the collection and it is also the one that evokes the most response from others. At readings people tell me that it has meant a lot to them and I’ve also had texts, emails, even letters about this poem. It is a kind of meditation on the nature of loss and this is something everyone understands. I wrote my first draft of “The River” in May 2005 but I came back to it again and again over the years and finally finished it six years later. Was the MPhil solely around writing poetry? The MPhil in Writing in the University of South Wales is for any kind of creative writing but I chose to concentrate on poetry. How much of the MPhil was residential? I would go over on a Thursday night and stay in a hotel two nights and get a flight back on Saturday evening. It was Friday lunchtime to Saturday at about 5. Check the website to see how many weekends there are now – it could be six weekends per year for two years and one residential week in between. There was only one residential week at the end of year one. The big advantage is that I didn’t have to give up work to do it. What are you working on now? Anything coming up? My poetry work has changed considerably since my book came out. I had a lot of launches, readings and interviews over the summer and they’ll continue right into November. I believe in people having access to and pleasure from poetry, similar to how music is a part of people’s everyday lives; so I value opportunities to read my work, to meet readers and to perform alongside other artists, particularly musicians. All my readings are listed on the homepage of my website (www.janeclarkepoetry.ie). I’ll be reading at Clifton Arts Week and in the Courthouse Arts Centre, Wicklow. I am also working on new poems. I hardly dare say I’m working on the next collection because it’s early days. In some ways it’s like starting all over again, building up a body of work, sending poems out for publication. What’s most important is that I am writing. It’s wonderful to have my book out, it’s wonderful that it has had such a good response but still what is most important, is to be writing, to be responding intensely to the world around me and to be translating that response into poems. I write in all kinds of places – on the train, in coffee shops, in the kitchen , the living room, the office. Do you write in form? Most of my writing is free verse though I love writing variations on the sonnet form and I sometimes experiment with villanelles and pantoums. I do think trying to work within the restrictions of a fixed form can be very productive. Sometimes I have tried to write in a particular form, for example terza rima, and it has got a poem going for me (that I might not have found otherwise) but at the editing stage I’ve changed it into free verse. On the other hand, “Who owns the Field?”, one of the poems in The River only took off for me when I tried it as a villanelle. I have lots more to learn about writing in form, which I think would be beneficial for my poetry regardless of whether I use it directly or not. Apart from putting away a poem for a while to let it cook, what other advice would you have for writers starting out? Immerse yourself in poetry. Read poetry every day. Read widely to find the poetry you love and that will inspire your own work. Make space for writing in your life. Let it be important. Join a workshop group or set one up. Go to poetry courses, e.g. in The Irish Writers’ Centre or at literary festivals like Listowel Writers’ Week, West Cork Literary Festival, Cork Spring Poetry Festival. I learned so much on the courses I attended and I got encouragement to keep writing. The poet facilitators introduced me to a wide range of poetry and helped me develop my own work. I also met many of my poetry friends on these courses. Take every opportunity that comes your way to read your work in public because that will help your confidence. Or set up opportunities by taking it in turns with a group of friends to host an evening of readings, singing, music. Join or set up a poetry book club. Get six poems as ready as you can get them and send them out to a magazine or journal. Then get another six ready and keep going. Expect rejection and celebrate the occasional acceptance. When they are returned see if you can make them stronger and if not try sending them out again. Different editors have different taste. Last but not least – keep writing and keep redrafting until you have it as close as possible to a good poem. I’m reading a fabulous book at the moment; The Letters of Denise Levertov and William Carlos Williams, edited by Christopher McGowan. Williams gives the younger poet, Levertov, the following advice. Thanks Jane for sharing your story and some great advice. 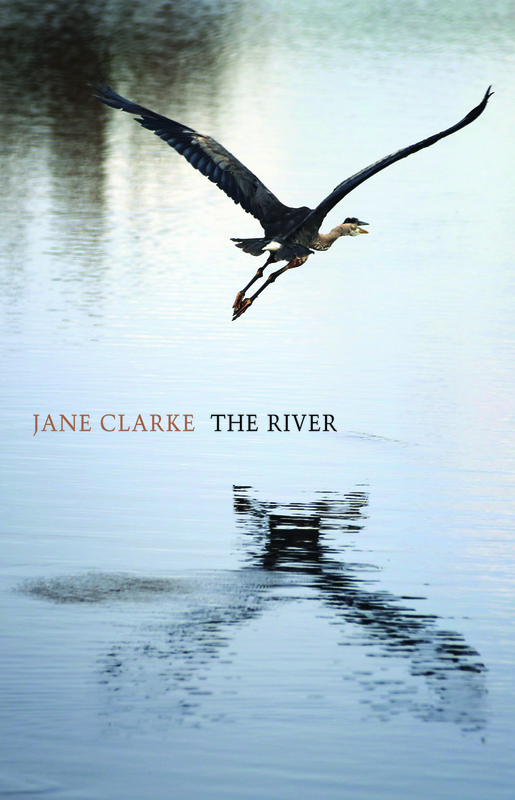 Jane Clarke’s debut poetry collection is available in bookshops and from Bloodaxe.